I see the matching #endif, so error must be deeper then message suggests or does your version look different. I recently had an unclosed #if but that was fixed some days ago, so if the version you use is fresh please provide the configuration so I can compile myself to see the error. On my configs it seems not to happen. Sorry, no file. You can not attach files in forum. You can mail it or use a public dropbox link, or use https://filebin.net/ for a link that invalidates after a month. Here is the firmware from today. The error seems in a different place. I am facing Windows 10 Preparing Automatic Repair Error after updating my device. I have updated it from Windows 8 to Windows 10. How can I fix it? Ok, have checked it and made some fixes so it compiles. 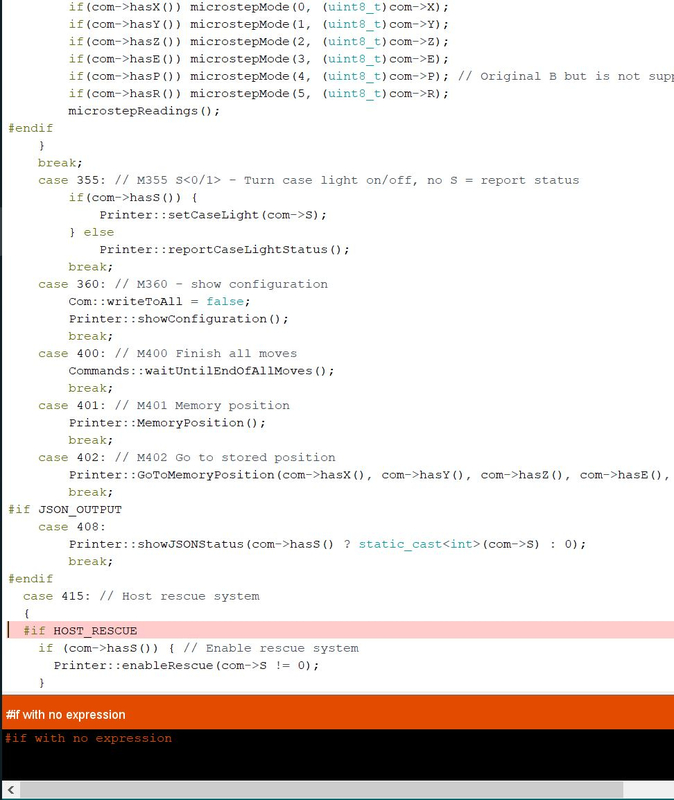 You need to disable HOST_RESCUE since you have no eeprom. Also the extra key you defined will not work. You need a controller for it to work. So you need to define one working with ultratronics even if it is not connected. Just do not use pins where it would be connected and it should work. I am still having trouble getting the extra key I defined to work. I have added the pin definition in the manual section of the firmware compiler. but when I test it (connect 6 & 7) the printer does not pause. What else do I need to do? Did you check that the display does not use that pin? As I said without feature controller pins will not work. And if they use the same pin for something it also won't work. Did you use UI_ACTION_PAUSE as action? Only Repetier-Host and server will pause when printer over host. Depends on the message send to request pause. sd pause should always work.